A former office block in Birkenhead is being refurbished and transformed into a new student complex with studios and en suite apartments fit for modern-day university living. A wealth of communal facilities are on offer in this collaborative project between YPG and Wirral Council. In an area lacking in adequate student accommodation, at least 200 tenants will have access to a gym and communal lounge that are built around a central secret garden. Hamilton Hub sits beside the Georgian architecture of the historic Hamilton Square which has rail links to major universities and colleges as well as the city of Chester. Hamilton Hub offers 142 studios and 58 en suite pods which are all fully furnished to the highest quality. Tenants pay an "all-in" price, which includes all bills in their rent, as well as super-fast broadband, for a simple and allinclusive fee. Whilst promoting a seamless student living experience, a 24/7 management team provides investors with a buy-to-let property investment with an assured rental return. Alternatively, investors can choose to self-manage their property should they choose to. 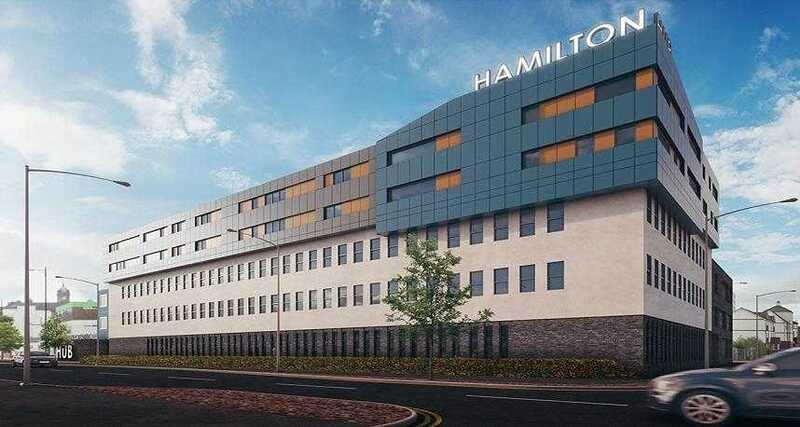 Hamilton Hub is situated just a 4 minute walk away from the characteristic Hamilton Square. Beautiful buildings of historic Georgian style line the streets surrounding the expansive public square where the community can mix and mingle. Perfectly suited to students seeking a spot of down time, they can stroll along the landscaped paths and study amongst the peaceful greenery of the communal garden during Merseyside's warm summers.